Summer time is here and I’m feeling good! I hope you are as well. I get asked a lot about my hair products so I decided I’d share them with you. The products listed below are what I have been using for the past 2 years. I have experienced a lot of growth since I started my natural hair journey, and although I don’t attribute the growth and health of my hair solely to these products, they certainly keep my hair looking and feeling good. I don’t believe that hair products are the only thing that can aid in having strong, healthy hair. A balanced diet, full of fruits and veggies, drinking lots of water, and even taking vitamins have been linked to hair growth. Genetics might even play a factor. Overall, I think if you are gentle with your hair, and develop some sort of hair regimen, your hair can grown strong and healthy. TLC goes a long way. I have spent lots of money over the years and tried many products. The ones listed below are my true loves. I purchase them over and over, and I often purchase large quantities at one time to last me for several months. Yes, I’m that girl! THIS IS THE ALL STAR OF THE BUNCH. I use this product on all of my twistouts, braidouts and bantu knot outs. Any style that requires definition, this product is used. Pros: provides amazing slip, and intense moisture. Smells great, awesome definition and hold that last for over a week. Cons: If used alone, this product leaves my hair crunchy. I have to use it with an oil (Trader Joes jojoba oil). See picture below. 2. 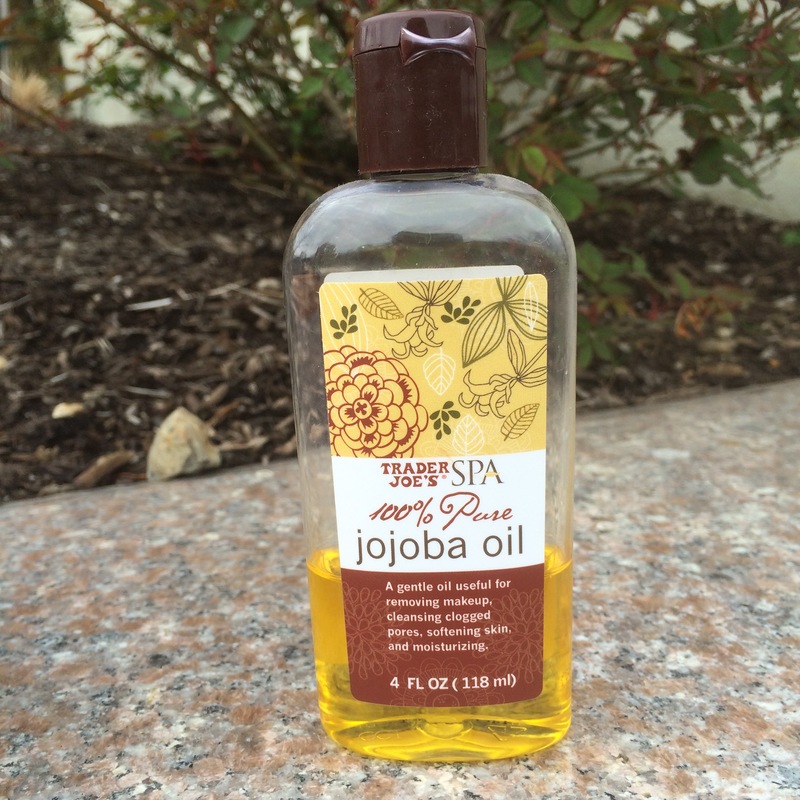 Trader Joe’s Jojoba oil. This is the only oil that I use on my hair. I used to use Coconut oil, but I find that it no longer works with my hair. 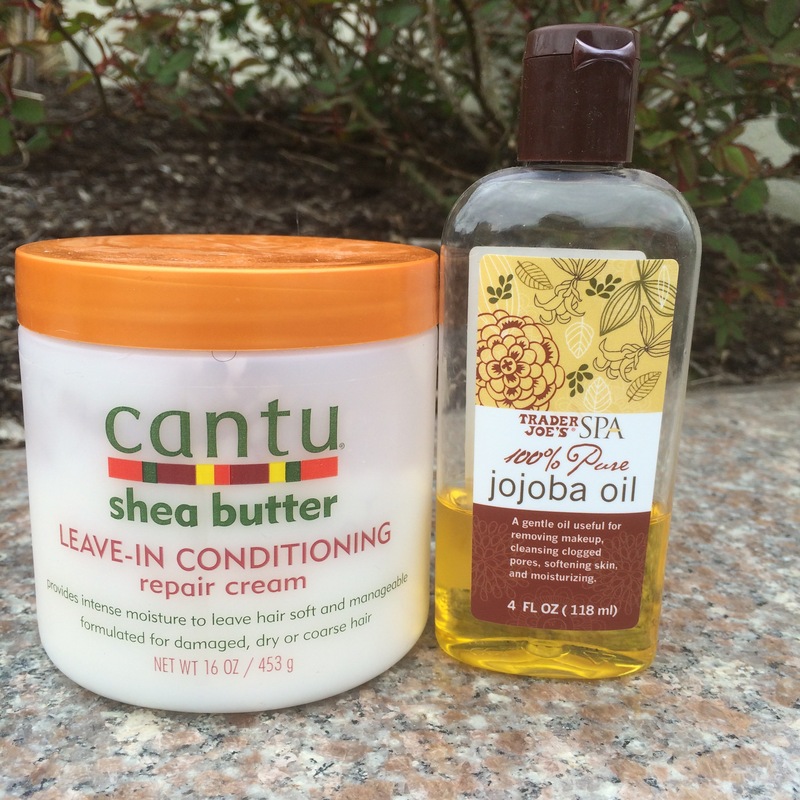 The jojoba oil is lightweight, does not have a strong scent and it perfect when combined with the Cantu product above. These 2 products combined together is really MAGIC! I apply the cream first and then the oil on top. 3. 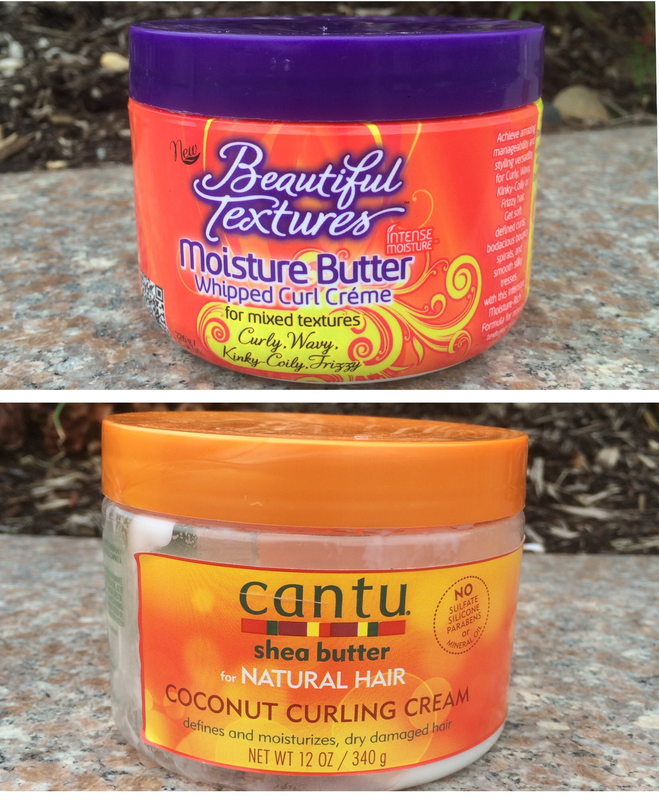 Beautiful Textures Moisture Butter whipped curl creme. 4. 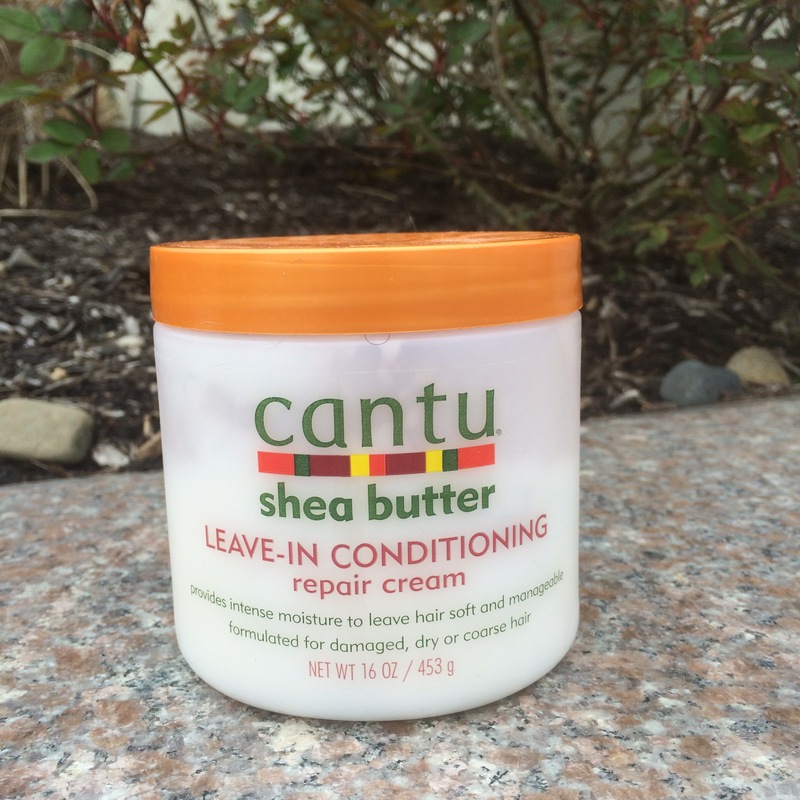 Cantu Coconut curling creme. These 2 products are my back up products. In the event that my all-star product (above) runs out, I can use either of these 2 products to achieve similar results. Emphasis on the word similar. Pros: Both products smell great and does provide definition. Cons: Both products cause my hair to feel extremely dry and brittle within 2 or so days, the definition does not last, does not provide any shine, and causes my hair to feel and look less natural, and more silky. This one is pretty simple. 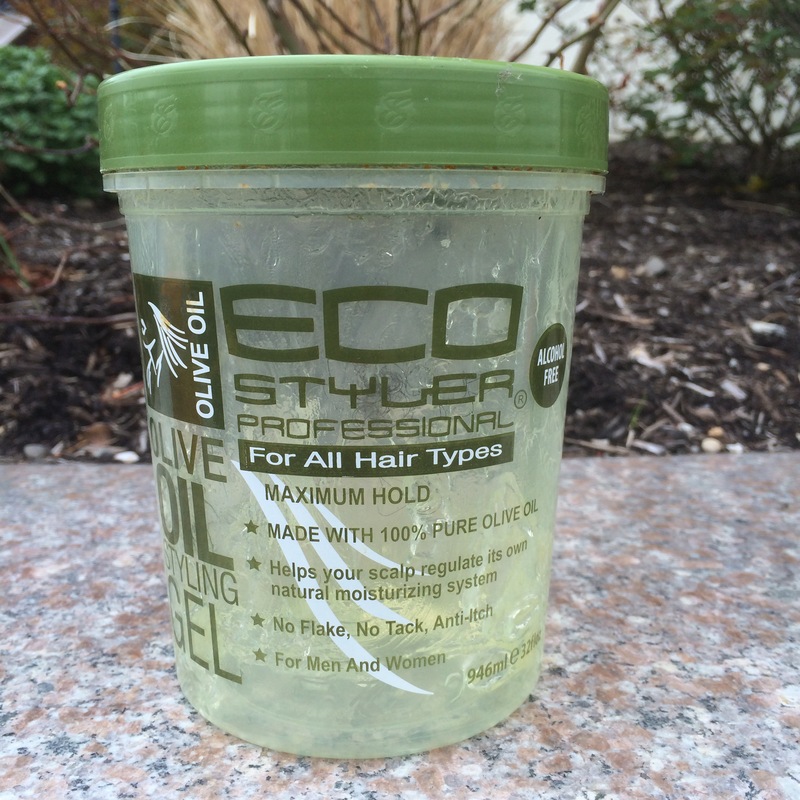 I don’t use gel often, but when I do, I only use one brand-Eco styler olive oil gel. Pros: It’s light weight, yet provides a long-lasting hold. A little goes a long way and it makes my hair very curly if used for a wash ‘n go style. Cons: This product will start to flake within a few days if the hair is constantly manipulated. But isn’t that the case for most, if not all gels? I never used this product while I had a relaxer. It wasn’t until going natural that I started to use a product to protect my hair from heat damage. I let my hair air dry before applying heat and this product. A few spritz goes a long way. 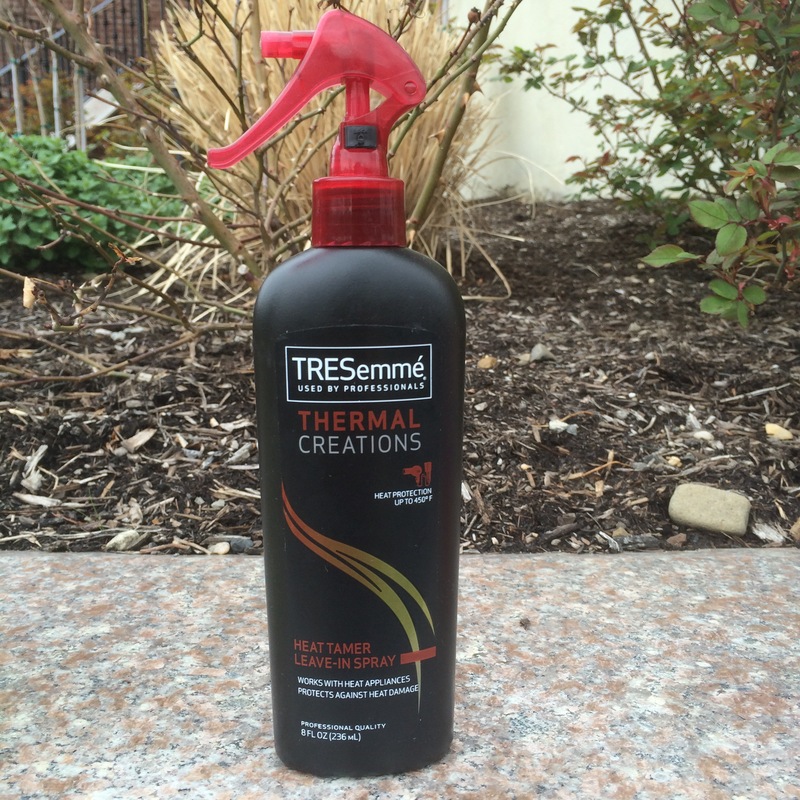 Pros: I have used this product for a very long time and not experienced any heat damage due to blow drying my hair. Cons: if you use too much at one time, it will make your hair sticky. 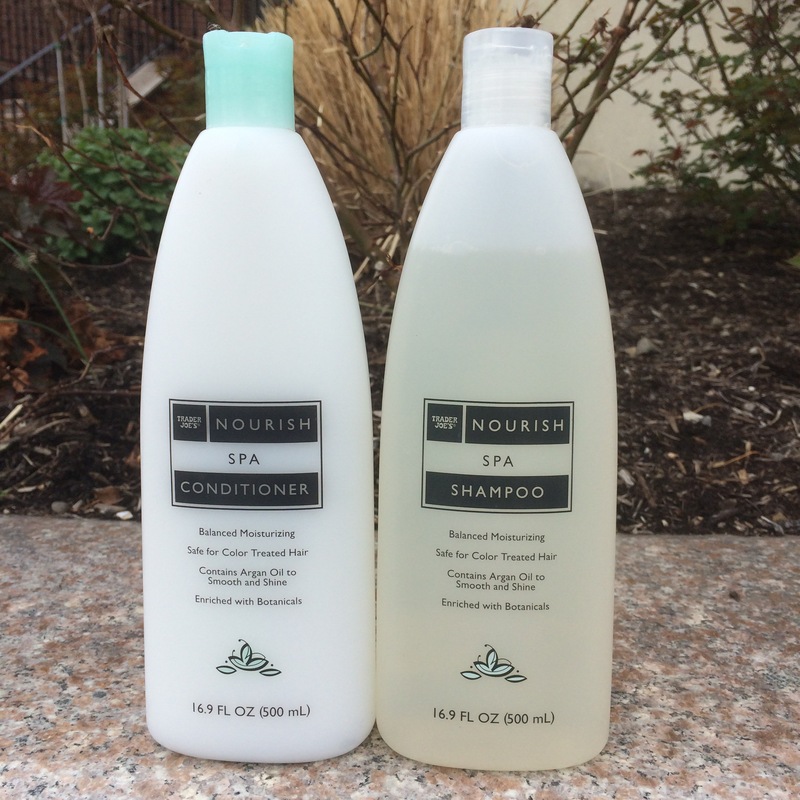 Nourish Spa shampoo and Conditioner is also sold at Trader Joe’s. They are inexpensive products,. Pros: They are both thick and creamy, my hair smells great, both products provide a lot of slip and causes my hair to feel soft and easy to comb through. 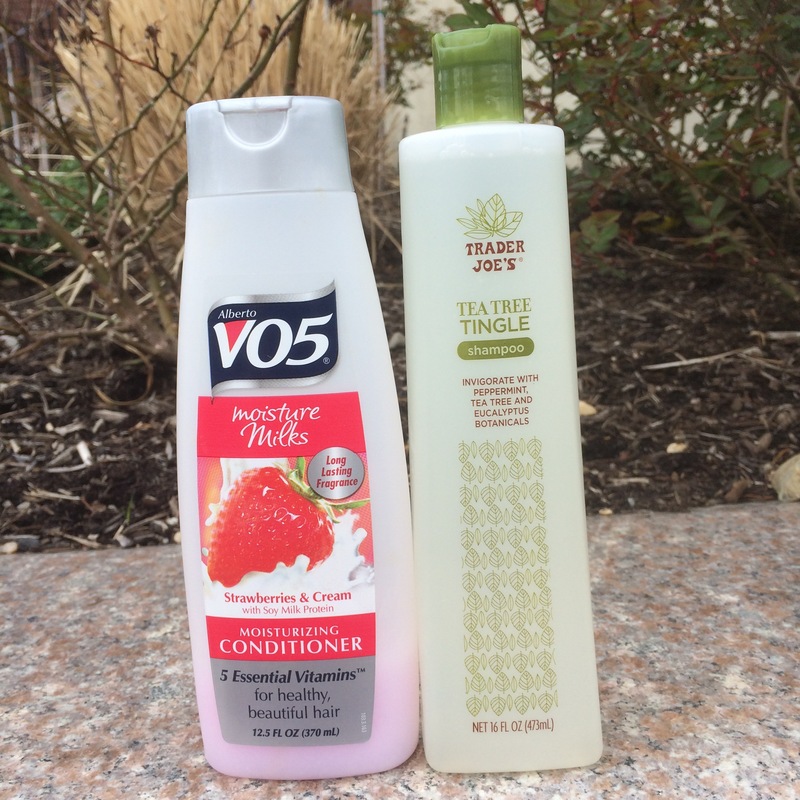 These products are used as a back up in case I run out of my primary shampoo and conditioner named above. Cons: It’s all about timing with these products. If left on the hair for too long, it leaves my hair feeling dry and brittle. I use this product to add shine to my hair. It’s extremely thick, so I don’t use a lot at one time. I also use it along with my hair creams, if I run out of my jojoba oil. What products do you use to keep your hair healthy and strong? I want to know! What does slip mean boo? I like the argon oil. never used that other oil before. have u tried argon oil? I have never tried argon oil, however, a lot of naturals rave about it on youtube, so I ‘m sure it’s good! The jojoba oil works so well for me!